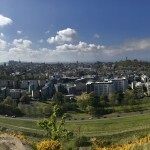 Should you go on a Sandemans free tour of Edinburgh? The pipes where some adulterer had to escape from. 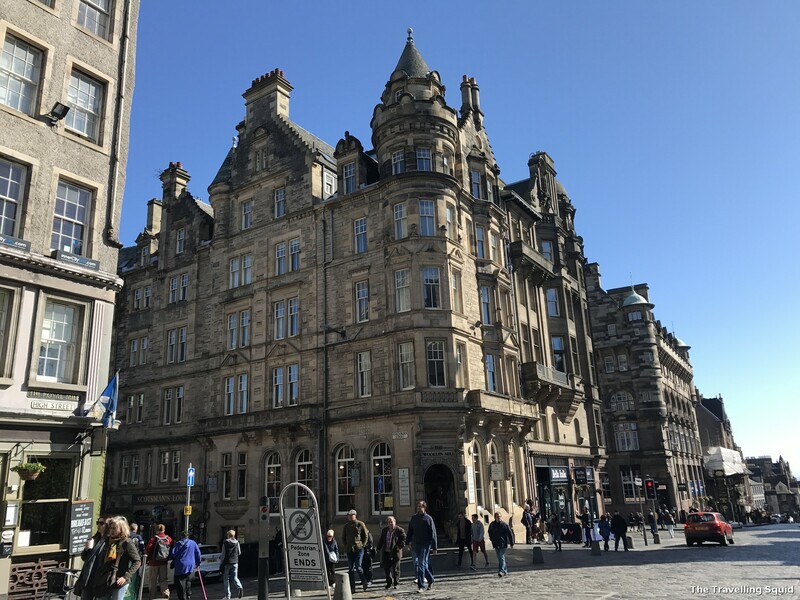 Should you go on a Sandemans free tour of Edinburgh? 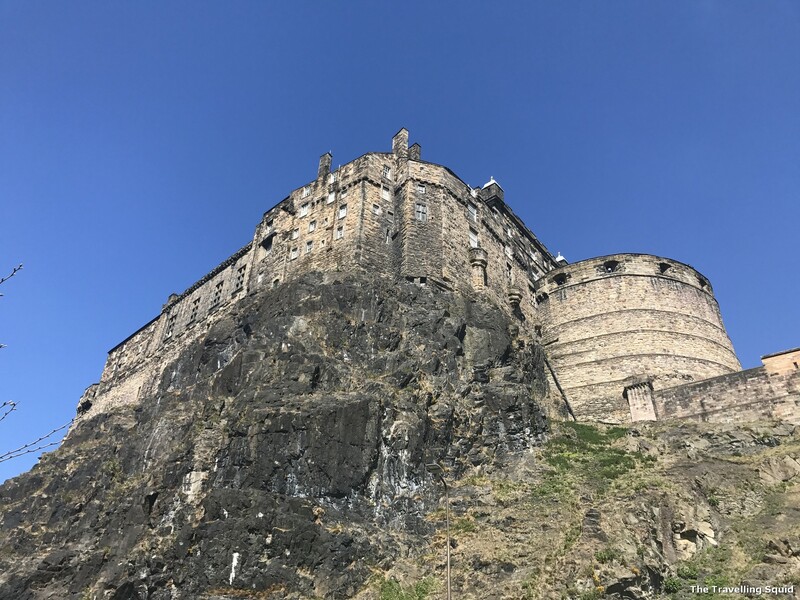 If it’s your first time visiting Edinburgh and are looking to get a brief sense of the sights and sounds, the Sandemans free tour of Edinburgh is pretty comprehensive. It’s 2.5 hours long, and you get a good sense of the key sights in Edinburgh. The tour is pretty interactive too, and the stories, realistic and a tad gory. You could imagine that the people in medieval times were rather blood thirsty, having draconian punishments for stealing (think cutting off a hand), for example. 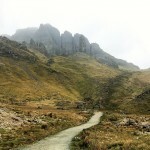 This post comprises some of the tales that the tour guide told us. To be honest, I can’t remember the names of some of the buildings, but the stories were pretty memorable. Downtown, in the Old Town of Edinburgh. 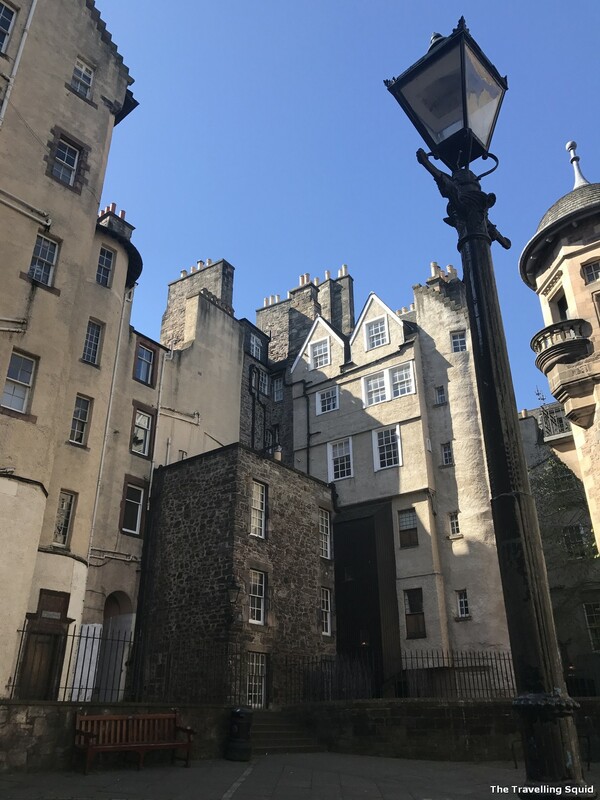 Unlike its sister London, Edinburgh’s Old Town is very much a medieval town. We went for a day tour – our guide was Italian American, therefore his accent was very understandable. I think his name was Erik if I’m not mistaken. I can’t be sure but he told us he was studying veterinary science part-time, while telling us about Greyfriar’s Bobby. The buildings he showed us usually came with a tragic past – battles were fought over it, massacres happened, which makes one thing people of the Middle Ages were all somewhat blood thirsty, and rather violent in nature. 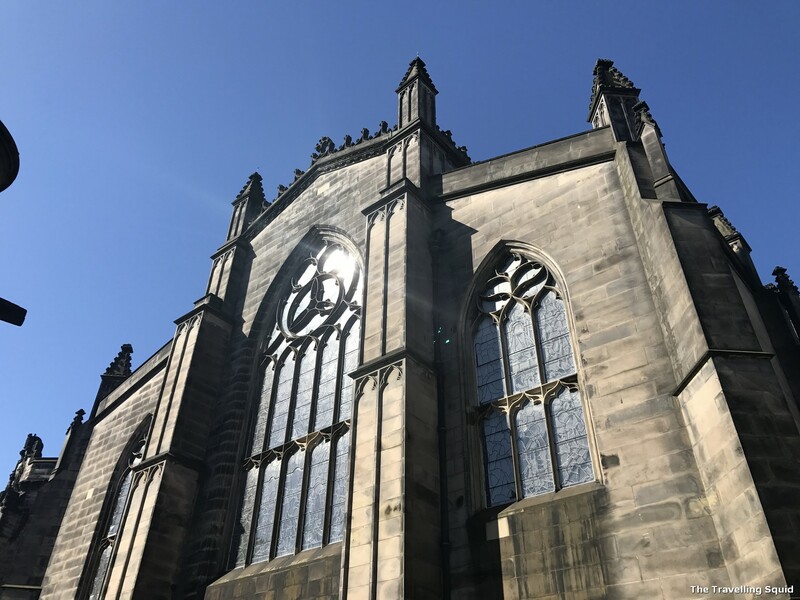 St Giles’ Cathedral – where protests took place between people not wanting to accept how the English worshipped. 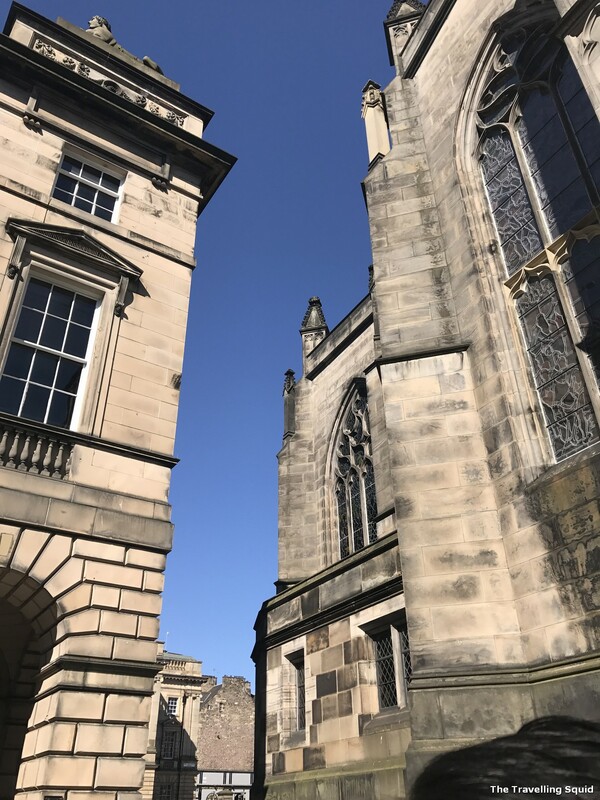 The first story was told near the St Giles’ Cathedral. It was about a riot which took place centuries ago. Essentially, the English way of worshipping was brought to this cathedral, and an old lady was rather unhappy about it. She threw a shoe at the altar if I remembered correctly, and this started a riot of sorts between the Catholics and the English. Who ever thought that such seemingly ‘small’ differences could provoked such a huge reaction then. Like how the building faced up against each other. Some ‘good guy’ had to escape down the pipes. Apparently back in the day, there was a wealthy merchant who was very generous, and was considered to be well-respected in the community. He was a philanthropist. Later it was soon discovered that he had been cheating people of their money. He was also two timing two to three other ladies. As the police were after him and none of the ladies wanted him, he had to escape down these black pipes in the middle of the night. Don’t think he survived. Despite the gory story behind it, the old town is really well-preserved, and beautiful. In the past, burglars were common. 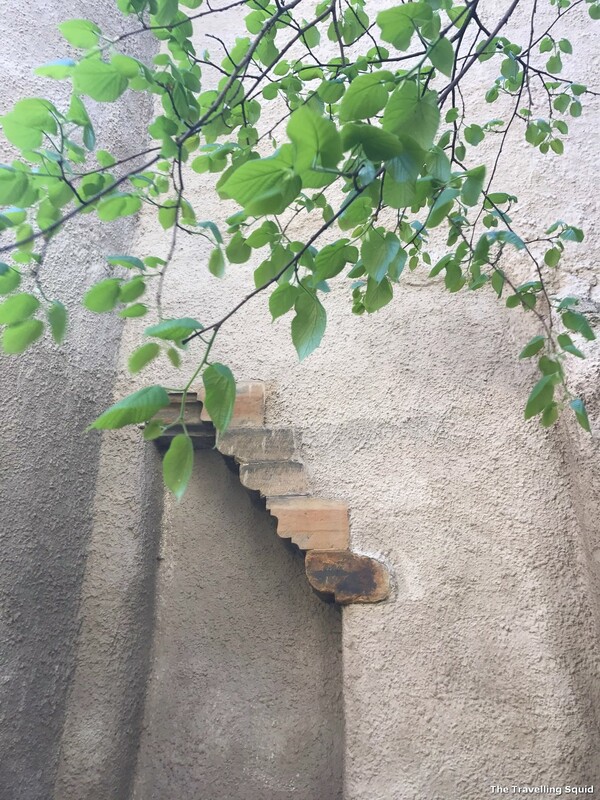 People then built steps of different depth, to catch thieves in the middle of the night. 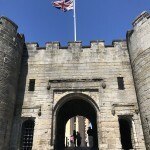 The intention was to make the second step a different length from the rest of the steps, causing the thieves to fall, making a din and hence getting caught. Steps of different levels. Steps were made to be of different levels, so as to catch thieves off-guard. Trip them. 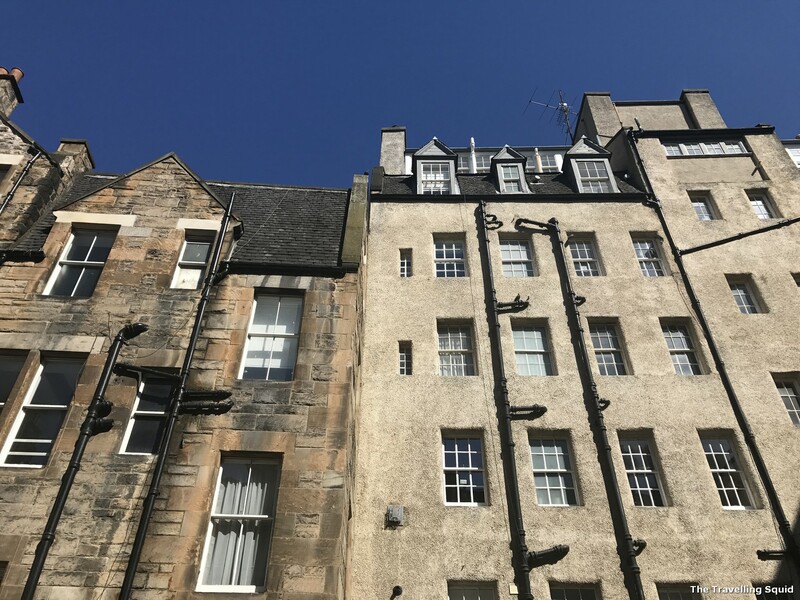 The main reason is because people used to throw excrement out from the windows all the time – so it’s best to avoid the first floor. I can’t remember why the top floors were not good. I’m guessing it was not as ideal in terms of lugging up buckets of water up the stairs. If there’s a fire you can’t escape that quickly too. Best level to stay would be on the second floor. Reason being, first floor has lots of poop. Can’t remember bad stuff for the higher floors. Leaky roofs? Old wooden door. Would have been interesting to stay here. The tree is real pretty. From Granny Green steps, you get quite a good view of Edinburgh Castle. The guide might encourage you to visit the castle – but it’s really up to you. We declined to go cos we were planning on going to visit Stirling Castle, which is said to be a tad more substantial. 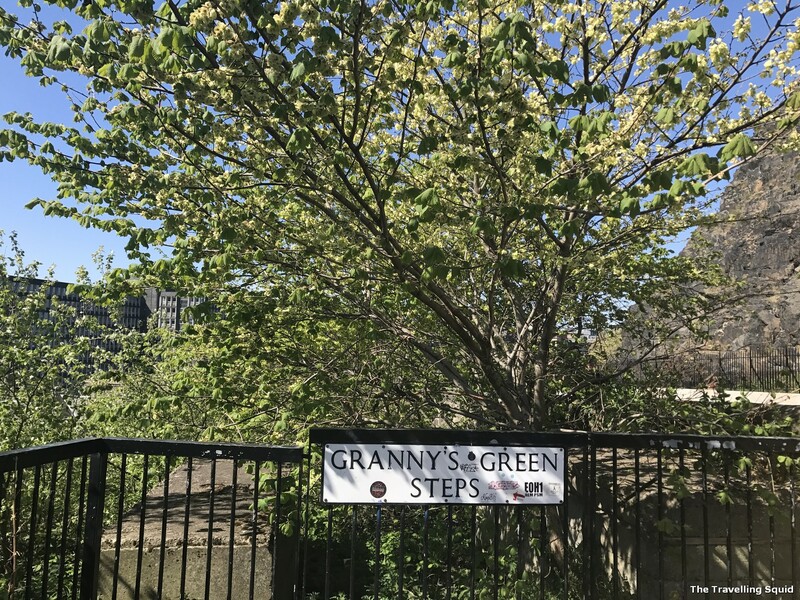 Granny Green Steps – down to the city hall and graveyard. Just before we stopped to take a break, our guide brought us to Grassmarket, and told us the story of Maggie Dickson. It was one of the better stories with a happier ending. Near us, there were some Scots making a ruckus. It was similar to eve-teasing in India. It appeared that they were having a beer or two at 11am in the morning! Maggie Dickson is a pretty cool story. 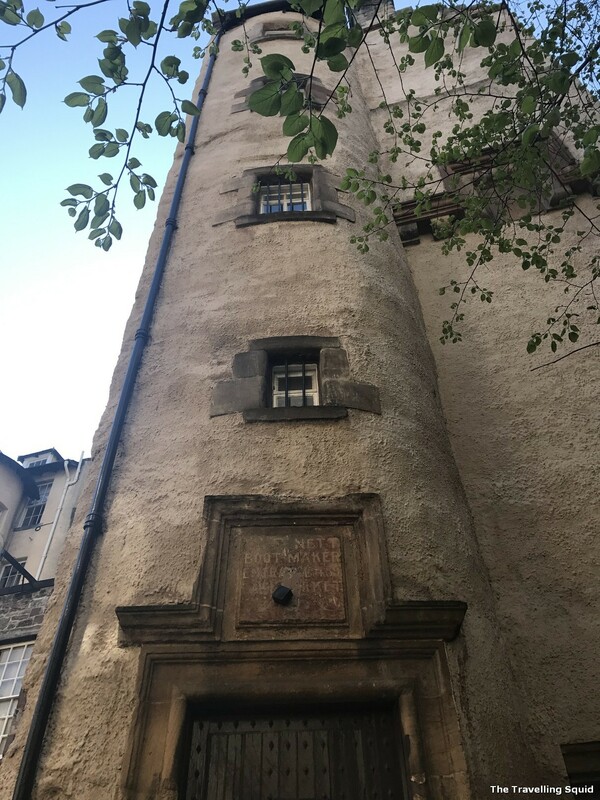 According to Wikipedia, a popular story in Edinburgh is that of Margaret Dickson, a fishwife from Musselburgh who was hanged in the Grassmarket (the market square) in 1724 for murdering her illegitimate baby shortly after birth. 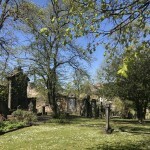 After the hanging, her body was taken back to Musselburgh on a cart. However, on the way there she awoke. 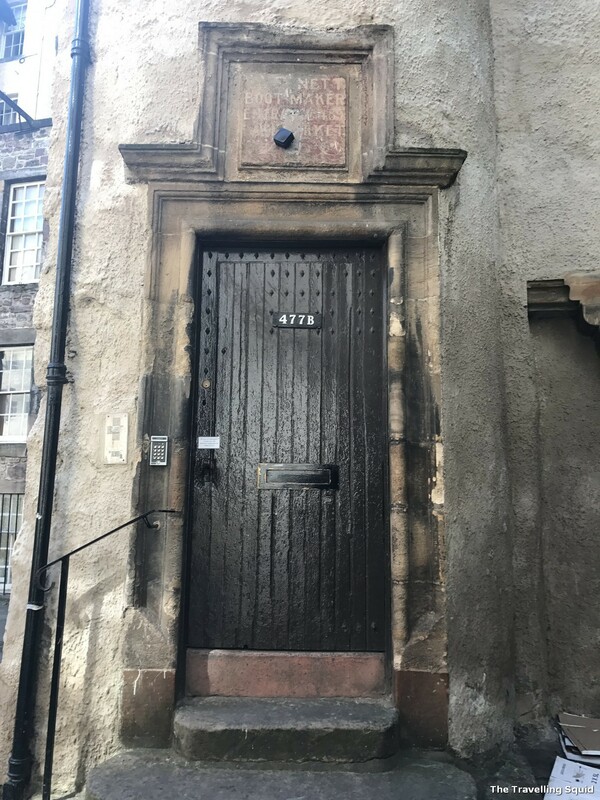 Since, under Scots Law, her punishment had been carried out, she could not be executed for a second time for the same crime (only later were the words “until dead” added to the sentence of hanging). Her “resurrection” was also to some extent seen as divine intervention, and so she was allowed to go free. 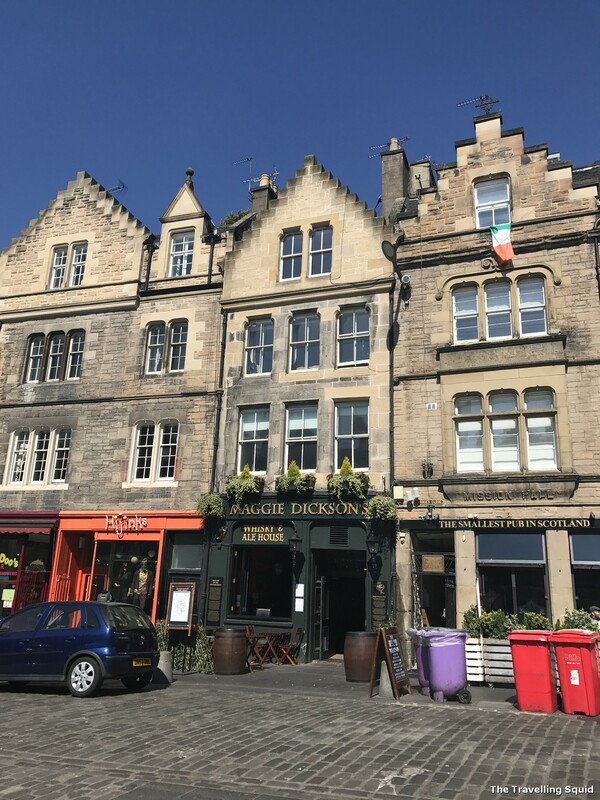 There is now a pub in the Grassmarket named after her. 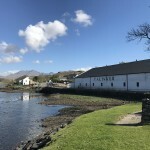 I wrote about it in a previous post, but the tour there was very good. I was happy to meet some of the gravestones which JK Rowling had obtained inspiration from. 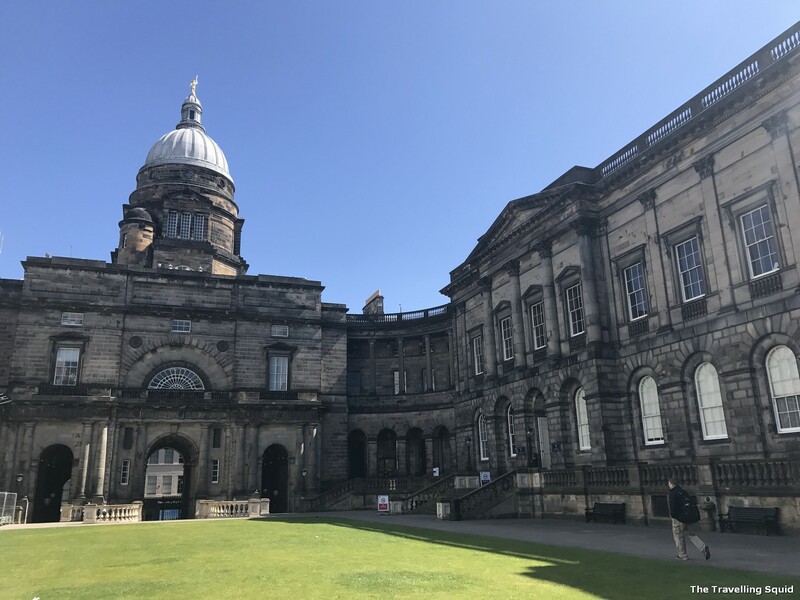 The tour ended at the University of Edinburgh. 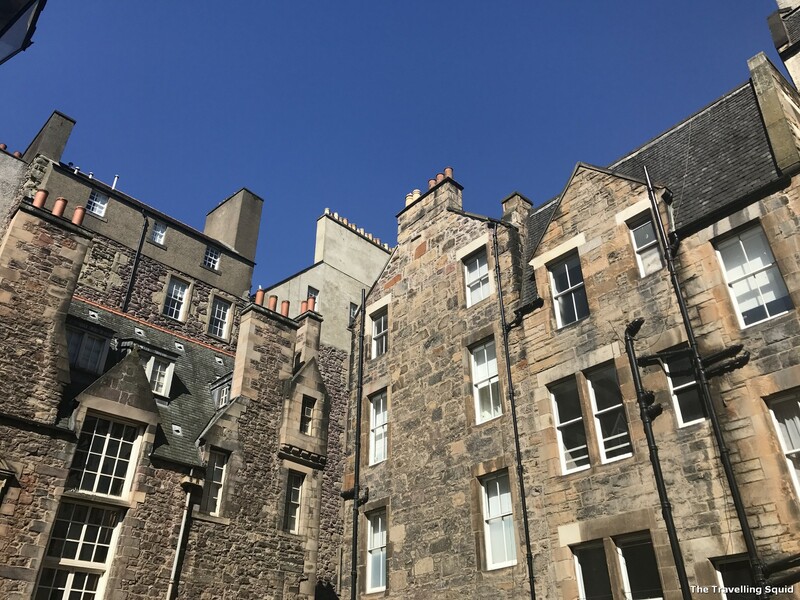 Should you go on a Sandemans free tour of Edinburgh? I’d encourage everyone to do so, as it seems like the best way to get to know the place a bit better. While it has been about two months, some of the stories have stuck with me. 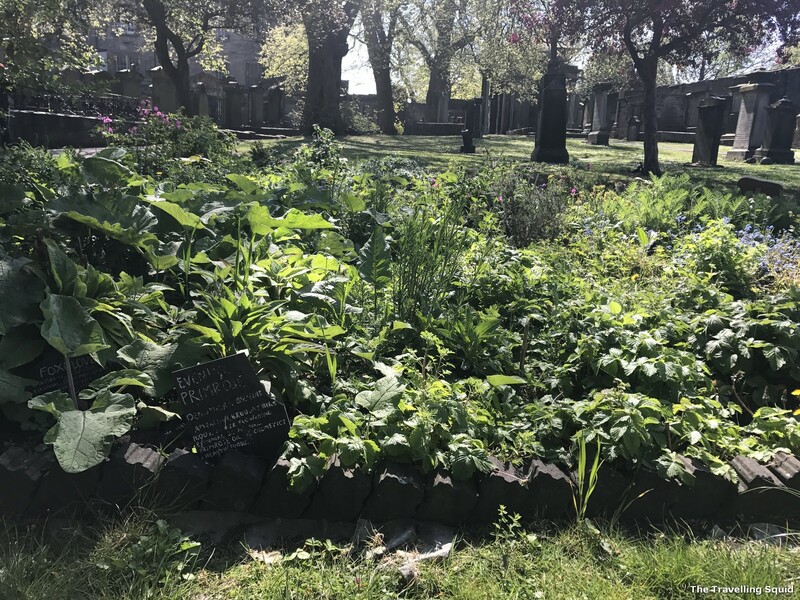 If you’re keen to hear how Edinburgh was like in the 16 or 1700s, this is the tour to be. It’s informative, interesting, and most importantly, intriguing. 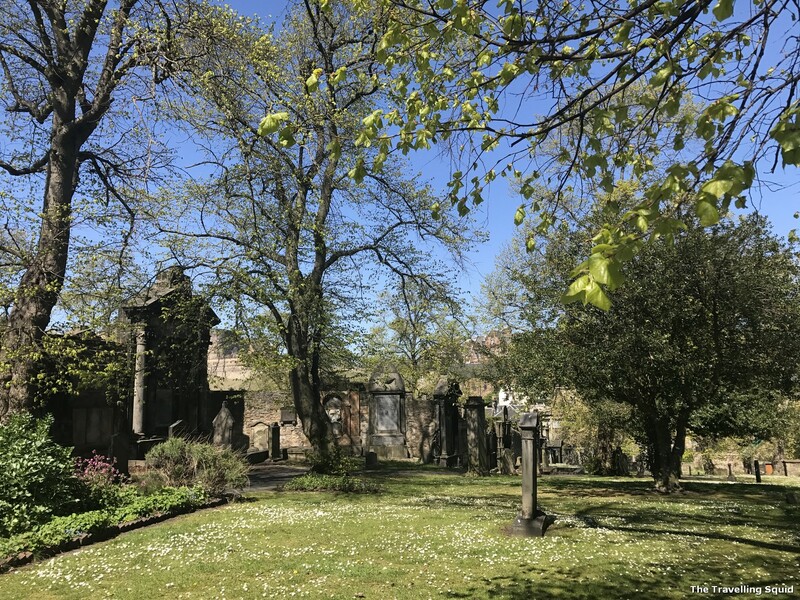 My favourite place was Greyfriars Kirkyard, which I wrote a separate post on. Enjoy and be sure to give a tip! We gave about £10 per person. 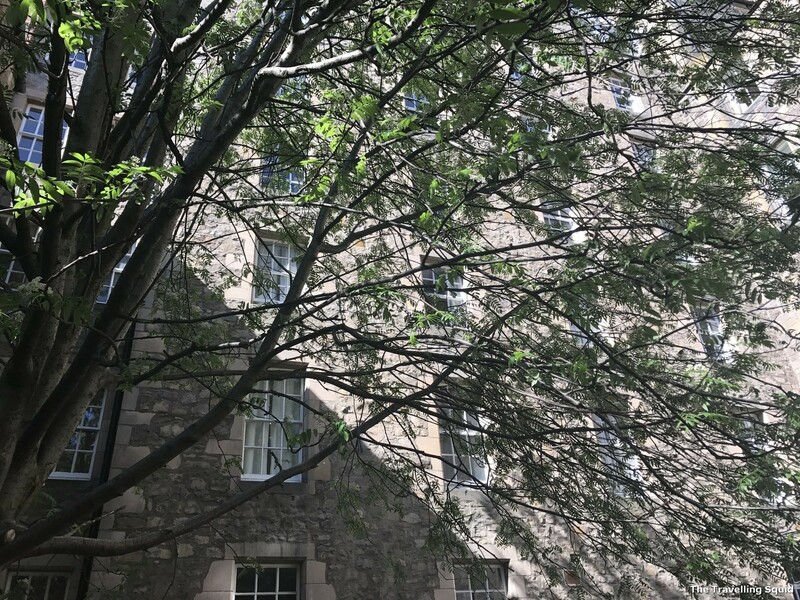 Have you been on a Sandemans tour in Edinburgh? Feel free to give your comments below. One Response to "Should you go on a Sandemans free tour of Edinburgh?"